Garlic, scientifically known as Allium sativum, is an herb that has many nutritional and medicinal properties to it. These include antibacterial and anti-fungal properties, along with being an immunity strengthener. There are many ways to get more garlic into your diet, as it is available in whole, powdered and oil form. There are also extracts which can be pricey. 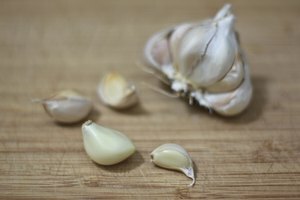 If you have a little extra time and a few materials, you can make your own garlic extract from scratch for a fraction of the cost. Peel several cloves of garlic, making sure to remove all the papery skin both from the outside of the head of garlic and from between the individual cloves. 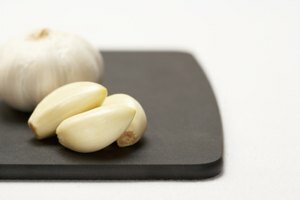 Press each clove of peeled garlic through a garlic press. 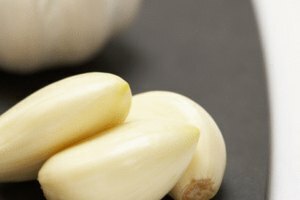 Dump the pressed garlic into a food processor. Repeat this until you have used as many cloves of garlic as you wish. Each 1 lb. 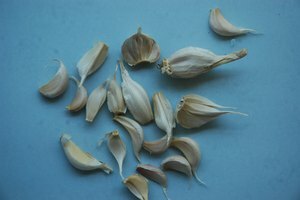 of garlic cloves will give roughly 1 g of highly concentrated garlic extract. Pulse the pressed garlic until you see some of the oil separate from the garlic pieces. Strain the garlic pieces from the oil using a fine mesh strainer. The liquid leftover is garlic extract. Discard the garlic pieces or use to cook. 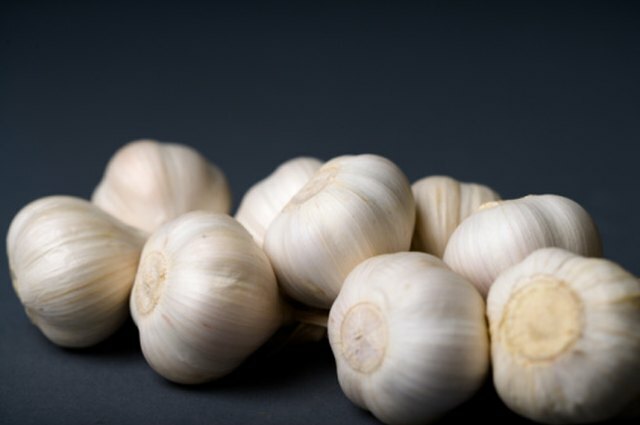 Store the garlic extract in an airtight container in the refrigerator for up to a week. To dilute the extract, instead of straining through the mesh strainer, add 1/2 cup of pulsed garlic to 1 cup of olive oil and let sit for 24 hours. Strain and you now have garlic oil from the garlic extract. Garlic extract is highly potent and concentrated and may not be appropriate for all your garlic needs. 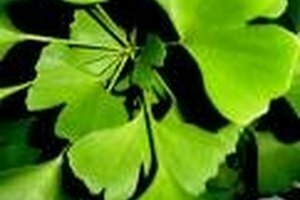 The extract is usually diluted using an oil like olive or grapeseed. If it is being used in pill form, it may be added to other substances to make the pill. Only use pure concentrated garlic extract if you specifically need that kind. Melissa Martinez has been a freelance writer and copy editor since 2003. She specializes in Web content and has been published in the "Houston Chronicle" and is now the section editor for a minor league sports news wire. She attended Seattle University.